Anthony J. DiFilippo, who struck and killed a teenage boy in a hit-run accident in Wheatfield four years ago, admitted Friday that he padded his insurance claim after his home was attacked by the boy's intoxicated mother. 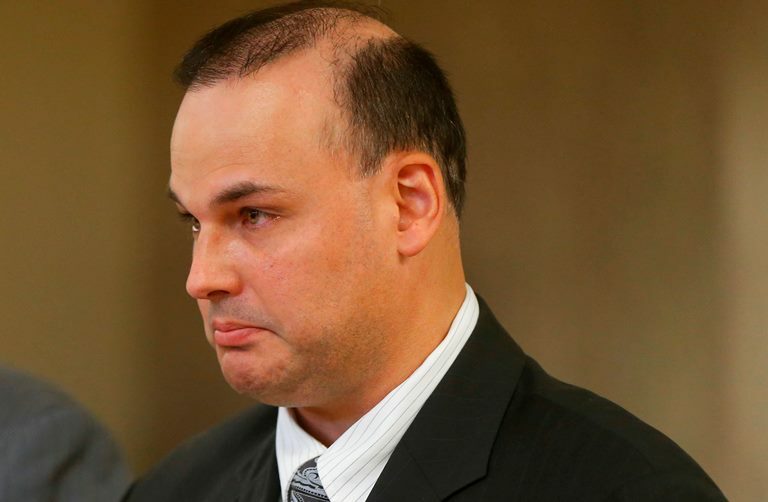 In a complex plea deal, DiFilippo, 43, pleaded guilty to fifth-degree insurance fraud, and State Supreme Court Justice Richard C. Kloch Sr. said he would sentence DiFilippo to one year of weekends in jail on March 22. On weekdays, DiFilippo is supposed to work to earn money to pay $11,340 in fines, fees and restitution stemming from the fatal crash. If he pays off that money before the year is up, he will serve another six months behind bars for violating his probation on a charge of attempting to leave the scene of a fatal crash. But if DiFilippo doesn't pay off the debt, Kloch retains the right to send him to state prison for as long as four years. DiFilippo was accused of damaging his own vehicle to make it look in worse shape than it was after Lisa Fischer, the dead boy's mother, rammed her vehicle into the garage door of DiFilippo's home on Michael Drive in Wheatfield on March 6, 2017. Niagara County sheriff's deputies said Fischer repeatedly rang the doorbell and pounded on the windows to get DiFilippo to come outside. When he did, Fischer allegedly tried to strike him with her car, but he jumped out of the way and the car struck the garage door and scratched DiFilippo's Nissan Murano, parked inside. 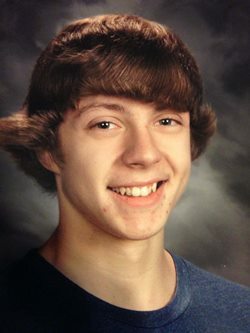 Ryan Fischer was killed in a hit-run on Krueger Road in November 2014. It was the same SUV DiFilippo was driving when he struck pedestrian Ryan Fischer, 16, from behind on Krueger Road in Wheatfield on the night of Nov. 20, 2014. Ryan Fischer died the next day. DiFilippo left the scene and wasn't arrested until September 2015. In May 2016, he pleaded guilty to a felony count for fleeing the scene. In September 2016, Kloch placed him on five years' probation with the first six months to be served in the Niagara County Jail. Lisa Fischer filed a wrongful death suit against DiFilippo and collected $50,000, the limit of DiFilippo's insurance coverage. DiFilippo sued the mother in small claims court after the 2017 attack on his home and won only $501.40 – after Progressive Insurance had paid him more than $1,800 for the damages. The difference between the crime scene photos of the Murano and the photos of the SUV taken by a Progressive claims adjuster triggered an investigation that led to DiFilippo's arrest on insurance fraud charges last April. Lisa Fischer, 38, pleaded guilty to misdemeanor driving while intoxicated in July 2017 and paid a fine and surcharge totaling $900, and her driver's license was suspended for six months. It was her second DWI conviction.